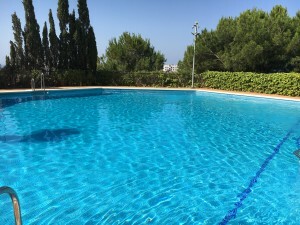 This recently renovated villa is located in urbanization Don Pedro, just a 5 minute walk from the beaches of Estepona. It consists of 2 floors. On the main floor you will find a bright living area with fireplace and beautiful marble floors, a spacious U-shaped kitchen with enough room for a large dining table and a guest toilet. This floor gives access to both the garage and the garden with a private 8 x 4 meter swimming pool. Upstairs you will find 3 large bedrooms (some with sea views) and 2 bathrooms. The villa is situated on a walled corner plot and therefore offers full privacy. The garden consists of several sunny terraces and is low maintenance. And apart from the main entrance there's also a second entrance gate to an area with extra outside parking space. The annual costs of this villa are low (just 912 euros in total for property tax, community fees and garbage collection). 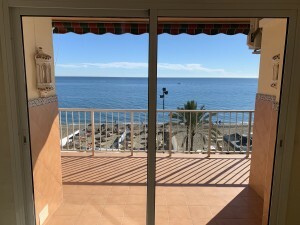 Shops, restaurants and the beach are all just a 5 minute walk away, Marbella is a 10 minute drive and Malaga International Airport can be reached within 45 minutes by car.